Light and fruity with notes of vanilla and honey. Delicate layers of orange and subtle flora add complexity. Sweet and spicy with a beautiful syrupiness. Chocolate orange and vanilla oak combine with hints of aniseed and liquorice. In the crafting of GoldenCask, Balvenie is carefully aged for many years in traditional oak whisky casks and then transferred into barrels that had previously held golden Caribbean rum for a final period of maturation. 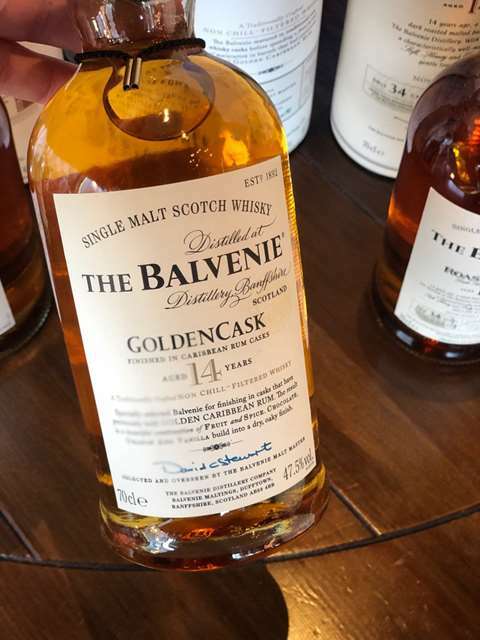 Klik hier om 1 actuele prijs te bekijken van The Balvenie 14 year old GoldenCask.